HMD is now all set to announce its first Nokia branded flagship Smartphone. The high-end Smartphone will be named "Nokia 8", instead of Nokia 9 which was rumored earlier. According to the latest reports, the Nokia 8 will carry model no. TA-1004 and will be powered by the latest Snapdragon 835 chipset, just like the Galaxy S8, OnePlus 5 and other flagship phones. The device will be having 4GB RAM coupled with 64GB of Internal Storage. 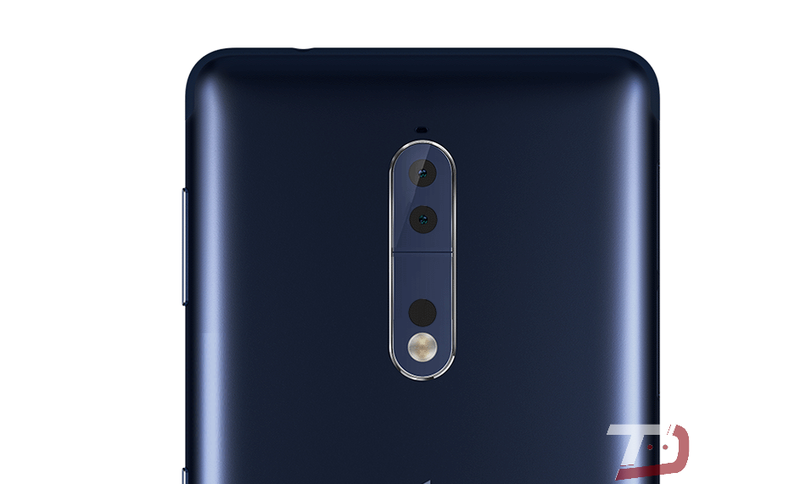 HMD is planning to launch two Nokia 8 variants, One with Single Sim slot and the other with Dual Sim card slot. Additionally, the device will be coming with blue, steel (silver), Gold / blue, and gold / copper color options. With the 5.7-inch 2K Display and other flagship specs, the Nokia 8 will stay premium with a price of 589 euros (675 USD/ 43500 INR). Will you be buying the Nokia 8? Let us know in the below comment section.